So on 30th November 1983 I decided to open a record shop preferably next to the University. However I had no money so embarked on selling second hand records and pop merchandise I made myself at markets to raise the cash needed. The pop merchandise mainly consisted of block mounted pictures oF Duran Duran, members of Duran Duran, Wham and all their peers along with a certain Mr David Bowie. 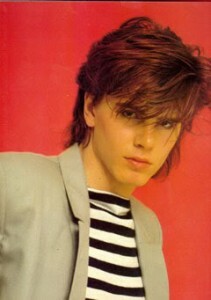 John Taylor was most popular, then Roger Taylor, Simon Le Bon, Nick Rhodes and finally Andy Taylor. At that point there was little available which seems strange now and there was a broken block mounting machine I had found in the basement of the Lady Lawson Street record shop I helped out in and Lawsons Timber who would cut the wood just a few doors down. I had the cracked aluminium base repaired and was ready to go. Along with the pop I would mount album covers using spare sleeves. Gatefold Roxy Music looked great. So come the summer of 1984 and I’ve secured a shop in West Nicolson Street next to the University. All I need now is a name. Something that showed we stocked old records and new artists too. 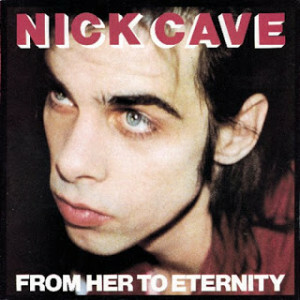 Just out was the first solo release from Nick Cave then known for his previous band The Birthday Party. “Release the Bats” was then one of my favourite three songs of all time along with Cabaret Voltaire’s “Nag Nag Nag” and Joy Division’s “Transmission”. First track was a Leonard Cohen song “Avalanche” and so Avalanche was born. Everything from Leonard Cohen to Nick Cave. You are currently browsing the avalanche records blog archives for November, 2013.